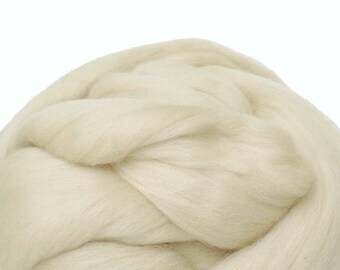 • This combed wool roving is exceptionally soft and ultrafine (19 microns). 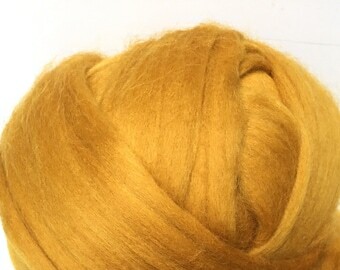 The softness of this fiber is perfect for next-to-Skin projects. 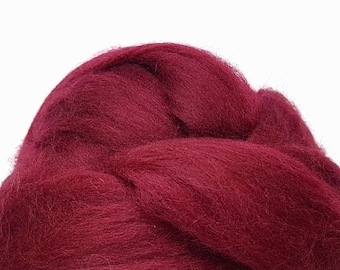 • Animal Friendly: Sourced from non-mulesed flocks. 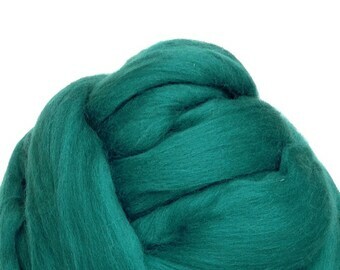 • Eco-Friendly: Dye is certified under the Oeko-Tex 100 quality system for non-toxicity. 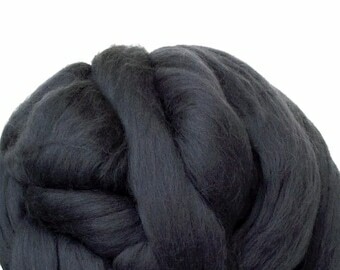 This Merino Wool top is a beautiful long silky rope fiber. 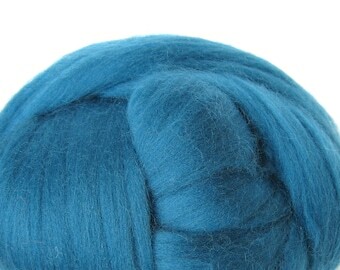 It can be used for needle, wet and nuno felting and are perfect for spinning. If you need different quantity, please convo me and I will make a special listing for you. *** SHIPPING: If the shipping cost is less than the amount you have paid, I will REFUND YOU the difference. It is difficult for me to assess a fair shipping costs because the total weight of purchases differs from an order to another. Please note: colours may vary from one computer monitor to another. 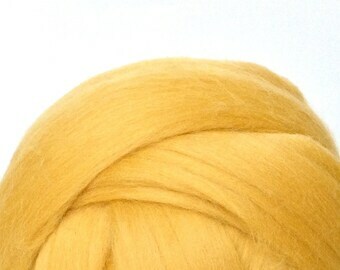 All photos were taken in natural light to give the real color of the fiber. Qualité! Service courtois et rapide! Merci !!! Payments are accepted through Etsy Direct checkout, credit cards and Paypal. All of these methods are secure and your information is always protected. If you don’t have a PayPal account don't worry, sign-up is not necessary. Simply choose PayPal as your payment method at checkout and after your order has been submitted, click “Pay Now” button and the system gives you the option to pay with your credit card - like you would at any other online store. Or check the link below. Please take care to complete the Paypal payment within 3 days otherwise the order will be canceled and the item will be relisted. The amount of tax charged depends on the destination of the shipment. 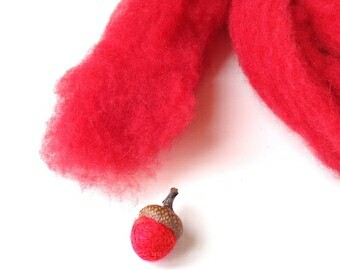 All items shipped to destinations in Canada are subject to Canadian Goods and Services Tax or HST wherever applicable. In addition, for buyers from Quebec province, the Quebec Provincial Sales Tax (TVQ 9.975% ) will be applied. 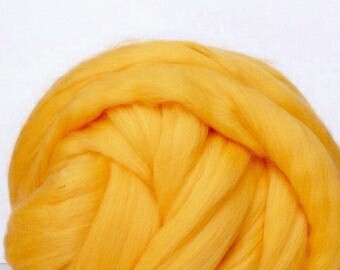 I do accept returns as it is very important for me that all my customers are happy. My best goal is that you feel happy with your Lululalaine purchase. I must be notified within 2 days after you have received the item. The item must be returned in unused and new condition and shipped fully insured within 4 business after item was recieved. A refund will be made as soon as received. However, I must deduct from the amount the shipping costs initially paid. Unfortunately I can not accept returns of custom made items. Thay are not refundable or exchangeable unless a mistake on my part. Buyer must pay for shipping the item back and MUST make sure it is declared as a returned item as I will not pay for any custom fees. Please make sure your Etsy address is correct during the checkout. ****Your package will be sent to this address and not the Paypal one. If the shipping cost is less than the amount you have paid, I will REFUND YOU the difference. If you prefer, convo me and I will send you a shipping price quote. For other countries which are not listed in my shipping list, don't hesitate to contact me to know the delivery charges. Note that you may have to pay customs fees and / or taxes; these costs are out of my control and are the responsibility of the buyer. Exclusive orders are welcome and they greatly stimulate me. Do not hesitate to contact me if you require additional information. Thank you for shopping with Lululalaine! 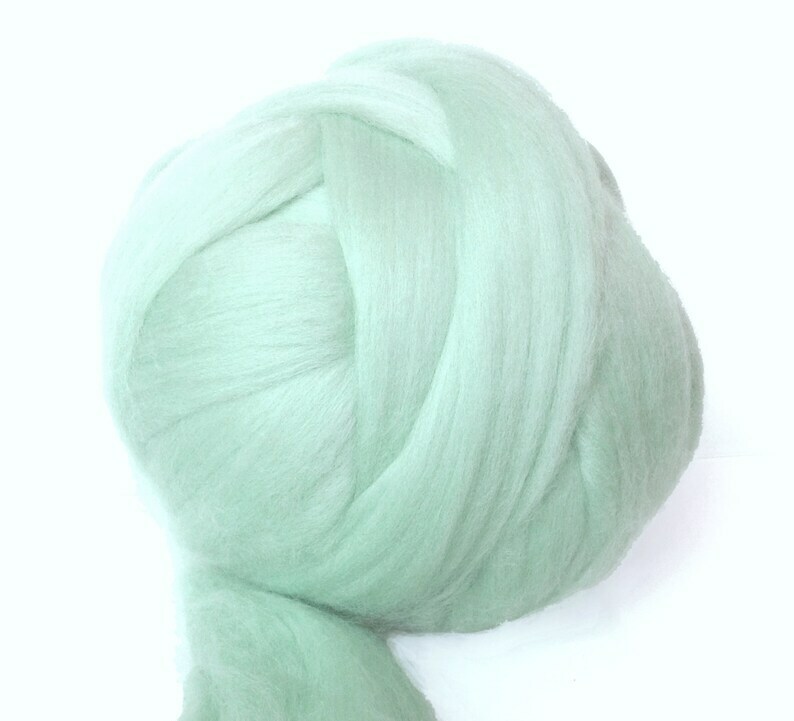 The merino top roving and Corriedale batts are produce with respect of the environment (Oeko-Tex certification). 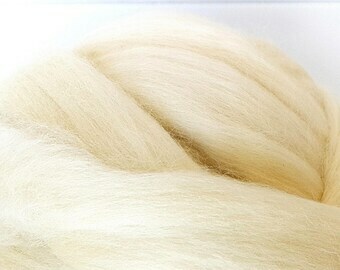 These fibers are also produce with respect of the health of the sheep and I only propose non-mulesed Merino (No-mulesing Certification). 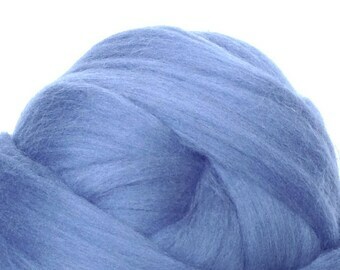 Dyed fibers has organic based dyes. They meet the human-ecological requirements of the standard according to Oeko-Tex Standard 100 and present zero health risks. No-Mulesing Certification : I am working with serious suppliers who are aware that sheeps are raised gently and treated with respect. 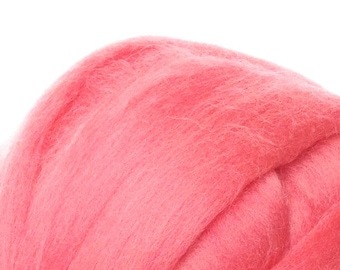 Merino wool fibers are no-mulesing certified. 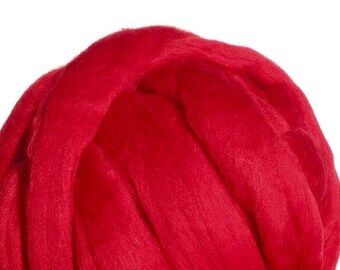 There is a minimal processing in the production of the Fine Merino wool batts because we believe that the industry processes of using acids to burn out the VM (Vegetable matter) are unacceptable from an environmental point of view. This means that some VM remain in the fleeces and we remove them after by hand-sorting. My producer is responsible for all of his wastewater management and protecting environment is very important to him. 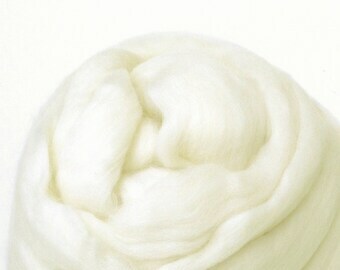 Wool fibers are washed with one wash in a plant-based, readily biodegradable detergent, then rinse with water. 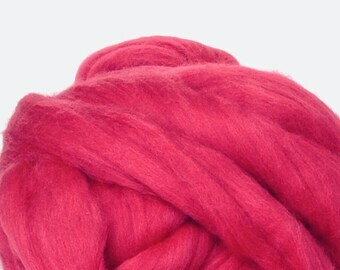 The dyed batts are first dyed with standard acid leveling dyes for protein fibres (not organic).